Removal and disposal of contaminated soil and/or groundwater. Waste container identification and removal, buried or surface. First Call maintains company owned and operated assets in order to provide the most consistent and highest quality service on all projects. Our team has extensive training and experience and is capable of getting your project completed safely and effectively the first time. First Call is capable of providing removal and, if necessary, remediation of above ground and underground oil storage tanks. First Call is familiar with all Local, State and Federal regulations in our coverage areas. We can provide the most effective and cost efficient method while ensuring that the project is compliant and done with limited liability. From a fuel station to a residence, no project is too large or too small. First Call utilizes in house personnel and equipment to ensure a consistent and effective approach on all projects. The First Call Strike Team is available to respond 24/7 to locations in and outside of our regular coverage area. From containment to mitigation and cleanup or for technical/logistical oversight, our in house teams provide a highly effective and budget friendly approach. With the ability to mobilize leadership, manpower and equipment on short notice to virtually anywhere, we can provide the same high level of consistent and professional service to mission critical projects. First Call can provide the most efficient and cost effective option for the transportation and disposal of hazardous and non-hazardous waste in all of our coverage areas, including Strike Team response. Our experience ranges from small, non-hazardous stream disposals to cargo containers of mixed waste disposal from an overseas location. From identification to lab-packs to mixed stream, First Call’s experienced project management team is capable of finding a cost effective option for your project that falls within your budget range. 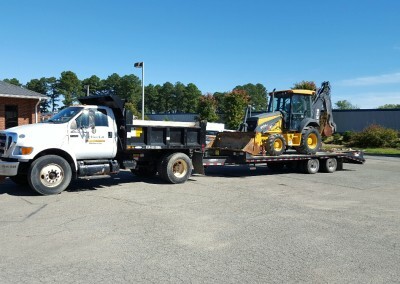 All transportation and disposal is performed within Local, State and Federal regulatory compliance. Our transportation managers can assure that your waste will be removed on schedule and within budget. 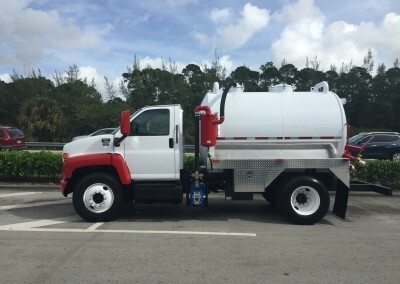 First Call offers 24/7 vacuum truck and roll off truck services within our coverage areas. We also maintain the ability to mobilize equipment for Strike Team Response within the continental United States. First Call maintains a high hazard response team for each field location. Highly trained and equipped with state of the art equipment, our Strike Teams can mobilize 24/7 to mitigate any high hazard incident. From chemical reactions to compromised cylinders, First Call’s strike team has the training and experience to perform the job safely and effectively. First Call can provide confined space entry teams for the entry and inspection/cleaning of chemical and petroleum storage tanks including, but not limited to: Frac tanks, petroleum storage tanks, chemical storage tanks and oil/water separator systems. First Call can provide a confined space entry team to assist with entry of tanks, pipes and vaults for cleaning and inspection. This service includes the ability to maintain an air monitoring and rescue team on site while maintenance, inspection and/or repair is performed.